hurrah, i have waited so long to post this outfit combination to you guys. something i would have never imagined to go together would have been two clashing floral prints, but thank you ASOS for helping me see that it can be done and not look too shabby. the main feature is here if you want to check it out; it also features so many other blogger babes styling other amazing A/W trends! so both these pieces are awesome and you wanna know why? they're both under the £20 mark! that's what i've always loved about new look, you can always find the most amazing products that don't cost a fortune. a huge thumbs up in my book. i know i'm excited for venice which is only nine days away now but i can't help but be a tiny bit jealous of all the LFW hype going down on all social channels. i'm desperate to get myself amongst the excitement one day! what can i say? this season it was just bad timing. i ain't a millionaire! Loving this outfit and the clashing florals! Is that Newcastle's Central Arcade I see? 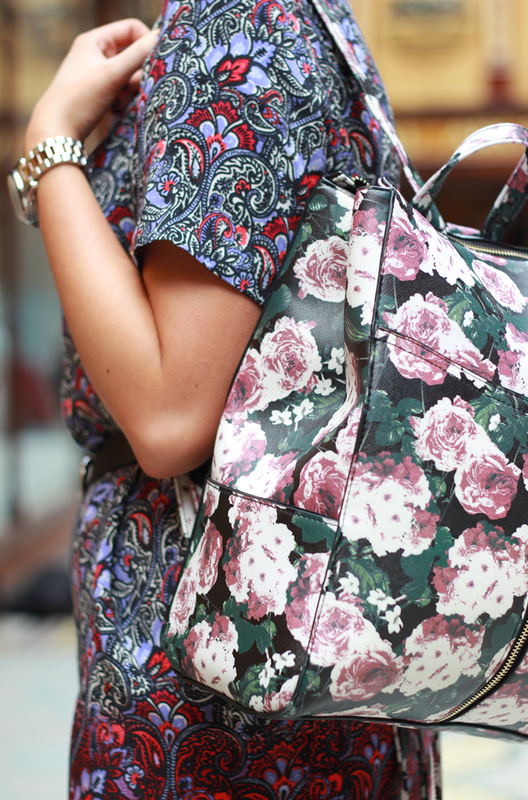 Absolutely loving this clashing florals look. You look so gorgeous and completely pulled it off! I would never have thought to pair the two prints but they look great on you. You can pull anything off! This dress is looking super gorgeous ! Love it ! Love both these prints, they look so pretty together and I also really want those ankle boots!! ahhh that dress has just the most amazing print! definitely will be looking out for this on my next trip to New Look! Love this outfit - looking amazing!